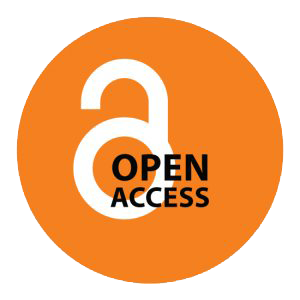 A work is considered to be Open Access when it is available to read and reuse for free in its entirety, without any restriction on who can access it. For more information, see our Guide to Open Access blog series. Why is Open Access a good thing? Academic books are expensive. In the UK, they currently retail at an average of around £60, meaning that, for the most part, only well-endowed university libraries can afford to buy them. A great deal of valuable research is therefore unavailable to most readers, with students in developing countries being particularly disadvantaged. Open Access means that everyone, everywhere can have the same access to quality educational material. Each of our titles is read by an average of 400 readers each month. Doesn't Open Access leave authors without an income? Unlike novelists or other professional writers, the vast majority of academics do not write books to make money. Academics' funding comes from their university and research grants, and royalties on academic books are usually negligible. Most scholars publish books so that people can read and engage with their ideas; Open Access means that more people will be able to do just that. Does being an Open Access publisher mean that you will publish anything? No! We only publish books that make it through our extremely rigorous peer review process. Like most other academic presses, all our books are read and assessed by at least two experts in the field at both the proposal and manuscript stage. If my book is published as Open Access does that mean it can be more easily plagiarised? No. All the usual rules about plagiarism apply to Open Access books. Does an Open Access book count towards the RAE/REF assessments for UK research? Yes. A book published by us is seen as exactly the same as a non-Open Access book: in fact REF 2021 guidelines state that, to be eligible for submission, authors’ final peer-reviewed manuscripts must have been deposited in an institutional or subject repository, while REF 2027 will mandate that monographs must be published via an Open Access route. Will you publish my book? We publish academic monographs, edited volumes, textbooks and reports in all disciplines, Humanities, Social Sciences and the Sciences. If your manuscript passes our rigorous peer review process, we will almost certainly publish it. If you are unsure of whether your book is right for us, please email Alessandra Tosi (a.tosi@openbookpublishers.com). More information for authors, including our downloadable book submission guidelines, is available here. Can I include images, maps, sound or video files? Do you publish color images? Yes, our books extend well beyond the printed page. We create interactive books, and works that incorporate moving images, links and sound into the fabric of the text and are made directly available to readers of digital editions. The print version is equipped with links and QR codes that readers can easily use to access the material. More traditional titles are equipped with digital resources freely available on our website, including extra chapters, reviews, links and image galleries. We publish books in color at a minimal extra cost. Are your books preserved in any way? In order to ensure that our titles are preserved into the future we subscribe to Portico, one of the main digital archiving services. We have also partnered with Open Editions—a resource for Open Access books serving individuals and libraries—which ensures preservation of all the titles in their catalogue. In addition, we participate in the digital upload of titles by the British Library where our content is also stored in perpetuity. Moreover we archive all the external links in our books via the Internet Machine Archive. Because our books are Open Access and under Creative Commons licences they will be available to all in the future through the above organizations and elsewhere, even if OBP should cease to exist. Do you provide authors with stats about the number and location of readers? We carefully collect readership statistics which are regularly updated on our website. Title-specific stats and a map of readers' location is provided on all our title pages. The readership stats are calculated based on the number of readers accessing our free editions. This includes viewers accessing our books on other platforms that provide the free-to-read book (Google Books, Worldreader, OpenEdition, DOAB). However in some cases (for example, Google Books) we are not provided with geographic information, hence the partial data used on the readership maps. The stats are updated daily, at the end of the UK working day. For more information about how we collect our readership statistics, click here. Are you books provided with a Digital Object Identifier (DOI) number? Yes, all our books, and each chapter within a book, is provided with a unique and permanent DOI. How do you keep the prices of your paperbacks and hardbacks so low? The internet has revolutionised the way publishers can operate. We use print-on-demand technology, which means we have no wasted print runs. We have also been assisted along the way by donations from individuals and grant-giving bodies who support our Open Access mission. For more information on our business model please read our blog here. Your prices are displayed in British pounds. Can I make purchases from your site if I reside outside the UK? Yes. Our books can also be purchased in USD, Euros, Can$ and AU$ via the scroll down currency option available on every title page. Within any currency zone you can make purchases through our payments provider Paypal with any major credit or debit card, or using a Paypal account if you have one. Your credit card provider will convert the charge into your local currency for you. Which of your electronic editions are compatible with my particular device? You can find a chart listing most electronic reading devices and their compatibility with our different formats here. How do I transfer a MOBI file to my device? First, you should download the MOBI file to your computer, then connect your Kindle to the computer, using the USB/charging cable provided with the device. Drag and drop the file to your Kindle's "documents" folder, using your computer's file browser. When done, eject the Kindle’s disk icon (right-click on the icon and choose "Eject”). Alternatively, you can also email the content to your Kindle email address, which you can find under the 'Manage Your Kindle' menu. Are your digital book accessible to print-impaired readers? As with all PDF documents, it is possible to use Acrobat Reader's Read Out Loud function on any of our downloadable PDF files. Read Out Loud uses the Text-to-Speech engine installed on your system to make text contained within a PDF more accessible. See https://helpx.adobe.com/reader/using/accessibility-features.html for more on Acrobat Reader's accessibility features. Also, text can easily be resized in our HTML reader by clicking on the buttons situated in the top right corner of the browser window. You can visit https://www.w3.org/WAI/changedesign.html to find out how you change the text size, text and background colors, and other display options through standard browser settings. What does the future hold for Open Book Publishers? We envisage a world in which all research is freely available to all readers. As well as continuing to publish our high-quality academic books and textbooks, we help institutions, academic groups, other publishers and journals move to an Open Access model through mentoring, consultancy and participation in the UUK Open Access monographs working group. As a founder member of the ScholarLed consortium of academic-led Open Access presses, and the Europe-wide HIRMEOS project, we are in the process of developing open source instrastructure to enable other Open Access publishers to grow and flourish. For more about our current activities and future plans, see Our Vision.